Let’s face it, whatever helps you stick to an exercise routine is exactly you should do, whether that’s walking with a friend at lunchtime or hitting the treadmill after the kids go to bed. That said, there are several benefits to working out first thing in the morning. If you’re able to get up and get moving with the rising sun, the benefits may outweigh that early wake-up alarm. Working out first thing in the morning does require a bit of extra planning. You’ll want to fuel up with a nutritious dinner the night before and turn in early enough to feel rested when the alarm rings. And since muscles and joints can feel tight after sleep, it’s important to do a thorough warm-up before launching into your workout. Here are five reasons to become a morning exerciser. Exercising first thing means there is less chance that something will arise at work or with friends or family that will disrupt your workout plans. You also won’t have the excuse that you are too tired or too hungry at the end of the day. Ultimately you will likely be more consistent if you exercise first thing. The release of endorphins and other neurotransmitters in the brain during exercise can improve mental clarity and attention. You’ll also feel a boost in energy and sense of accomplishment. Raising your heart rate in the morning kick-starts your metabolism, so that you burn more calories throughout the day. Research also shows that when you exercise before eating breakfast, that fasting state encourages the body to burn fat stores instead of carbohydrates from food. In one study, women who exercised for 45 minutes in the morning were more likely to eat healthier breakfasts and a smaller quantity. Exercising when you wake also gives you an overall healthier mindset, which makes you more mindful of what you put in your body all day. 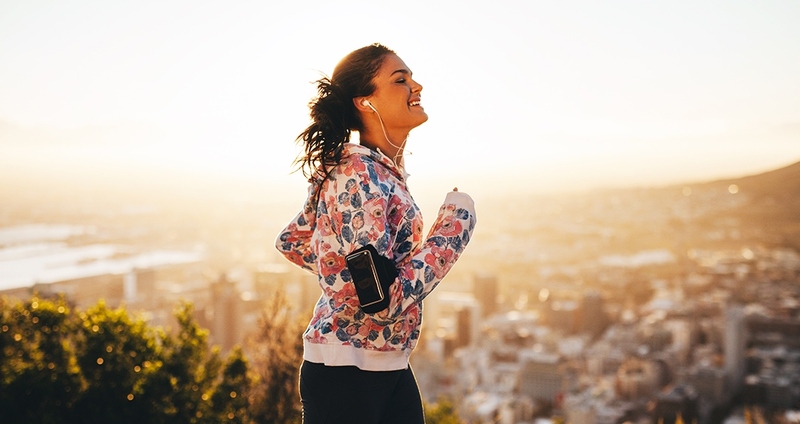 Generally regular exercise promotes better sleep; but when you get up early to do it, and expose yourself to early morning daylight, it benefits your internal rhythms and helps you power down at night.